Jason and Lisa are back in E Asia preparing to move to a province that is one of the poorest in the country. They will live and teach at an engineering school on the outskirts of town, giving them an opportunity to get to know students and faculty. Pray all goes well in this move, and for the children to adjust well to leaving friends. 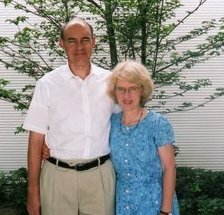 Pray for comfort for Judy Fenlason in the death of her sister Alice, a long time Kingdom worker. Judy and Cliff are grateful to be moved into their new home in Edmond, WA; pray they can settle in quickly and truly make it their home. Paul and Violette Bridgman had the pleasure of a visit from their sons Kevin and his wife and Jeffrey and his girlfriend. Pray for great family time and safe travels. Pray for several who have been attending the church for some time to make public professions of faith and become a part of the fellowship soon. Pray for Chris and Debbie Gibson’s missionary care ministry at Budapest Garden House. Their primary focus is families and individual missionaries, and nationals in Christian leadership who come for counseling and ministry related training. They may also work with marriage difficulties, burn out, difficult transitions, or cross cultural needs. Pray for wisdom as they address each of these issues with a Godly perspective. Jeff and Lynne are seeing more opportunities among the indigenous people now that Joe and Austia joined their team and efforts to plant a local church. Pray there will be openness among the locals to the gospel of Jesus. Pray also that Jeff and Lynne would grow in their ability to love one another and demonstrate a Godly marriage to neighbors and friends. 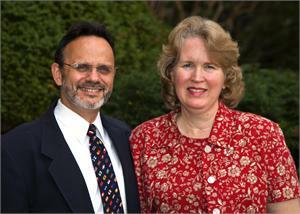 Norm and Ruth Ann, serving on the Pioneers Executive & Member Development Teams, see continuing growth as they expect 225 new missionaries to be appointed this year. Pray for wisdom and discernment in making decisions, and for additional facilities. Pray for leaders to study at the European Training Center (“ETC”) as a result of Stephen’s recent recruitment trip to N. Africa. Though construction is almost complete, pray the ETC will be fully operational by Sept. Pray for wife Belinda as she cares for her aging parents. Guille MacKenzie is excited to see so much diversity in the congregation and how welcoming they are of one another. Pray for a balanced focus between loving God, loving each other, and loving Buenos Aires with its many problems. Pray for his strength to make progress in his doctoral dissertation, and for teaching seminary classes. Pray for John M. and his business partner as they map out a strategy for the coming months, and what this means for their families and relocation plans. 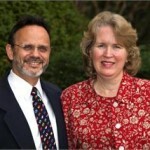 Pray for their team leader in SE Asia as his responsibilities are increasing. He has hired a local believer to join him and is looking for one more expat to bring into the project. Pray for all our mid-term missionaries who are adjusting to new languages and cultures far from home, especially Jake, Patience and Katie. Pray God will protect each, and give them wisdom to adjust to new situations and most of all to lean on His Spirit whenever confronted with adversities or questionable situations.